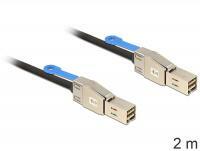 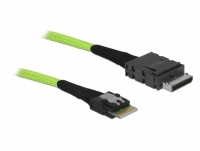 Description This mini SAS cable SFF-8087 enables you to connect e.g. 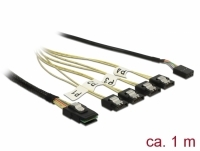 a Backplane with several HDD with only one cable to a controller. 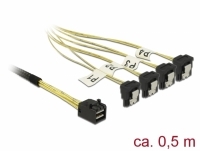 Description This cable by Delock can be used to connect internal SAS devices, e.g. 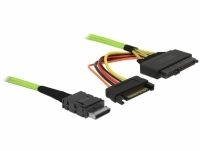 a controller with mini SAS connector to 4 SATA HDDs. 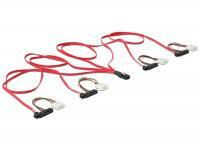 The metal clips on the SATA connectors provide a snap-in connection. Description This cable by Delock can be used to connect internal SAS devices, e.g. 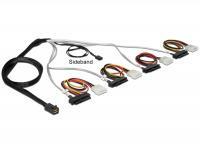 a controller with mini SAS HD connector to 4 SATA HDDs. 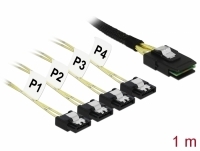 The metal clips on the SATA connectors provide a snap-in connection. 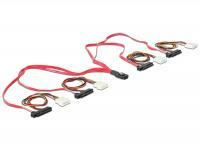 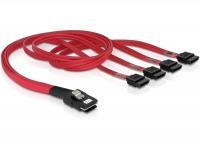 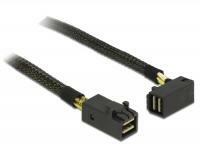 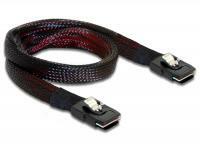 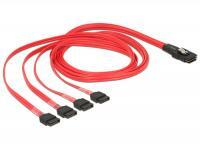 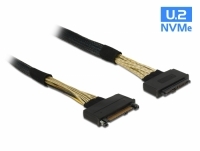 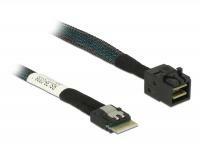 This reverse breakout cable by Delock can be used to connect internal SAS devices, e.g. 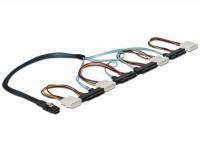 an HDD backplane with Mini SAS connector to a controller with 4 SATA ports. 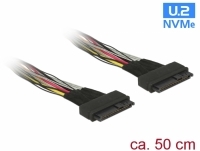 The metal clips on the SATA connectors provide a snap-in connection. 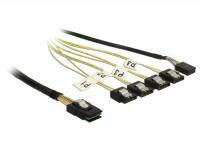 This reverse breakout cable by Delock can be used to connect internal SAS devices, e.g. 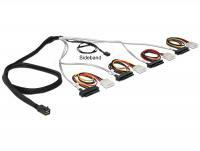 an HDD backplane with Mini SAS HD connector to a controller with 4 SATA ports. 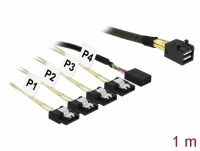 The metal clips on the SATA connectors provide a snap-in connection. 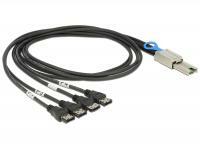 This SAS cable by Delock enables you to connect different devices with Mini SAS HD x 4 SFF 8643 interface, e.g. 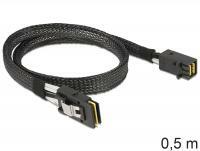 a Backplane with several HDD with only one cable to a controller. 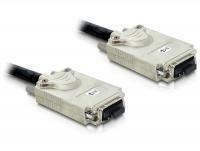 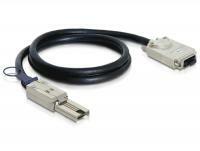 This SAS cable by Delock enables you to connect different devices with Mini SAS interface, e.g. 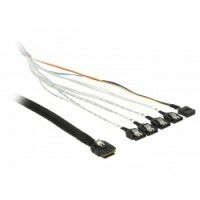 a Backplane with several HDD with only one cable to a controller. 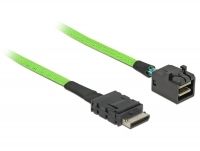 This SAS cable by Delock enables you to connect e.g. 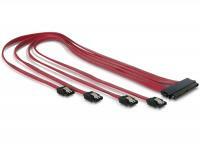 up to 4 SAS 29 Pin SFF 8482 drives to a Mini SAS HD x4 SFF 8643 controller. 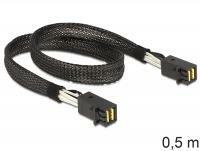 This SAS cable by Delock enables you to connect e.g. 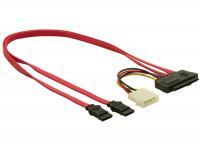 up to 4 SAS 29 Pin SFF 8482 drives to a Mini SAS HD x 4 SFF 8643 controller. 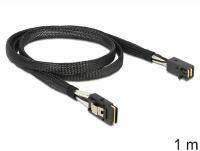 This SAS cable by Delock enables you to connect e.g. 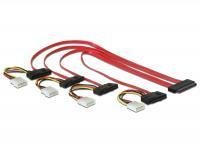 up to 4 SATA drives to a Mini SAS HD x 4 SFF 8643 controller. 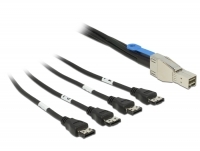 This SAS cable by Delock enables you to connect e.g. 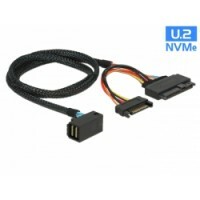 one drive to a Mini SAS HD x4 SFF 8644 controller. This SAS cable by Delock enables you to connect e.g. 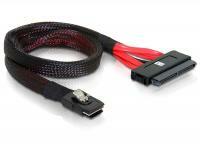 one drive to a Mini SAS HD x 4 SFF 8644 controller. 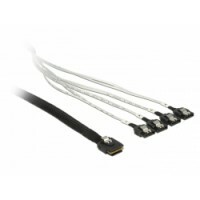 This SAS cable by Delock enables you to connect e.g. 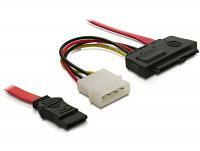 one drive to a Mini SAS SFF-8088 controller. 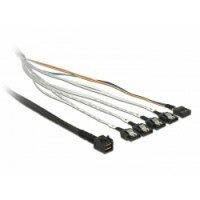 This SAS cable by Delock enables you to connect e.g. 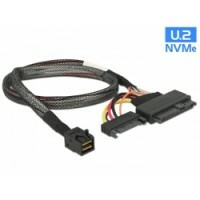 one drive with Mini SAS SFF-8088 to a controller with Mini SAS HD SFF-8644 connector. 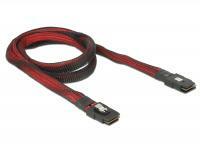 This SAS cable by Delock enables you to connect different devices with Mini SAS HD interface, e.g. 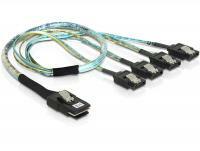 a Backplane with several HDD with only one cable to a controller. 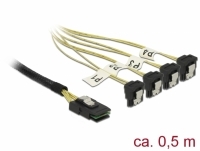 Description The cable enables the connection between e.g. 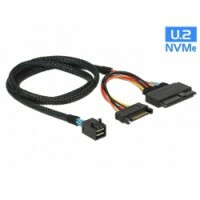 an SSD with U.2 interface and an M.2 NGFF converter equipped with a SFF-8643 port. 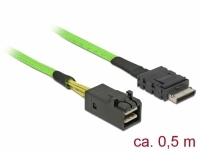 Description This cable by Delock enables the extension of a U.2 connection. 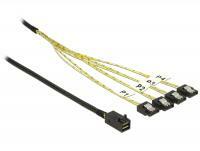 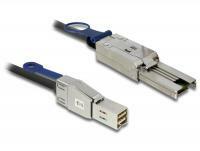 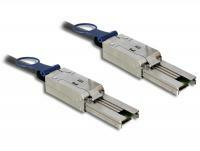 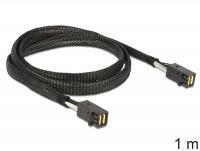 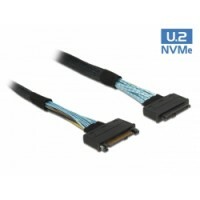 This SAS cable by Delock can be used to connect internal devices, e.g. 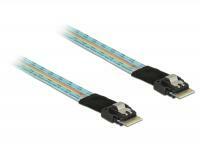 a backplane with Slim SAS SFF-8654 4i connector to a controller with Slim SAS SFF-8654 4i connector. 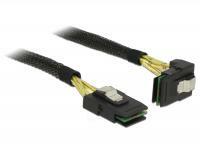 This SAS cable by Delock can be used to connect internal devices, e.g. 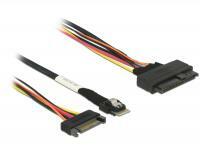 a backplane with Mini SAS HD SFF-8643 connector to a controller with Slim SAS SFF-8654 4i connector. 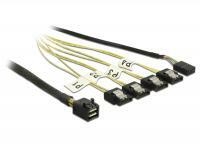 This SAS cable by Delock can be used to connect internal devices, e.g. 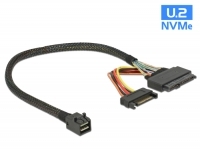 a device with SFF-8639 connector to a controller with Slim SAS SFF-8654 4i connector.